[James Chambers] has recently been investigating creating mods for the GameCube version of Animal Crossing, and in the process uncovered some interesting references to a debug mode. 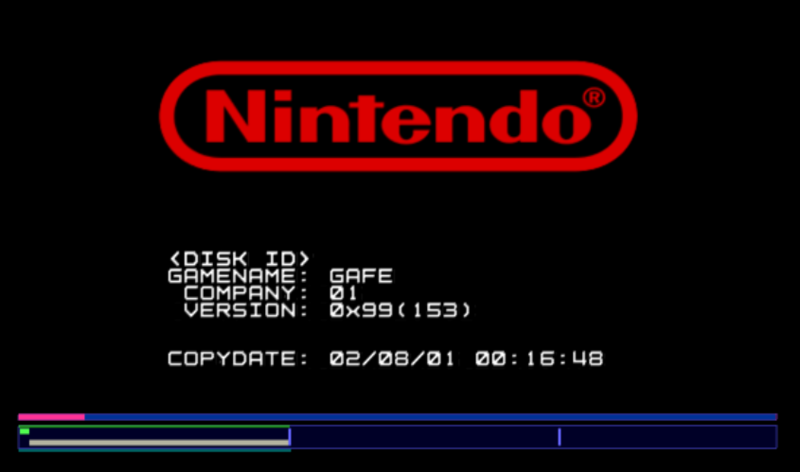 That launched a deep dive into the game’s assembly code in an attempt to find what the debug functions did and if they could be enabled without having to patch the game ROM. In the end, he was able to find a push button code that enables debug mode on the retail copy of the game. [James] starts by using the debugger provided by the Dolphin GameCube emulator to poke around and figure out exactly what flags need to be modified to activate the debug mode. This leads to a few interesting finds, such as being able to pop up a performance monitor graph and some build info. Eventually he finds the proper incantation to bring up a functional debug display in the game, but there was still the mystery of how you do it on the real hardware with a retail copy of the game. It wouldn’t be unreasonable to think that some special dongle or development version of the GameCube would be required to kick the game into debug mode. But through careful examination of the code path, [James] was able to figure out that hitting a specific combination of buttons on the controller was all that was required to use the debug mode on the stock game. Once the debug mode is started, a controller plugged into the second port allows the user to navigate through options and perform tasks. Not everything is currently understood, but some progress has been made, such as figuring out how to add items to your inventory. It’s hardly Nintendo’s most popular console, but there’s still a healthy interest in GameCube hacking as the machine approaches its 20th anniversary. We recently saw some impressive work being done to reverse engineer the system’s wireless controllers, though some people are more interested in just cutting the thing in half. Small correction, Animal Forest on the Nintendo 64 was the first entry in the series eventough it was essentially Animal Crossing. Unless the article was edited after your comment, it specifies that it was the first time any game in the Animal Crossing series was offered outside of Japan. Animal forest was never released in the USA. In Japanese, Animal Crossing as we know it in English speaking countries has always been called “Animal Forest”. To refer to the Japanese N64 game as “Animal Forest” as if it were a completely different series is disingenuous. And yet it had the best controller ever. Amen to that! They obviously learned some lessons from the N64 controller flaws. Like the clunky NES controller evolved into the sleek SNES dogbone. Which was the best controller for the 16 bit generation IMHO. That’s not really a correction, the series is called Animal Crossing outside of Japan. It literally says “Originally released on the Nintendo 64 in 2001” at the beginning of the article, it’s just being referred to by the much more recognizable Animal Crossing name vs Animal Forest. Since, you know, this site isn’t in Japanese. This is really cool. I wonder if the author would have gone this far if he had discovered the version ID method earlier. 狡い [ずるい: ZURUI] (1) sly ･ cunning ･ dishonest ･ sneaky ･ crafty ･ unfair ･ (2) miserly.